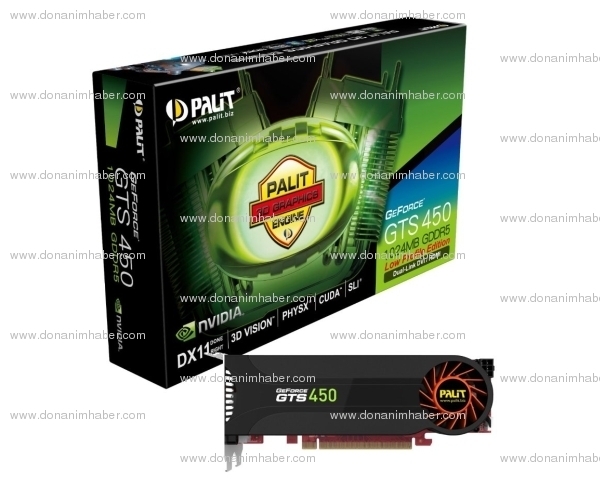 Palit announces Low Profile and Non Reference Variants of GTS 450. 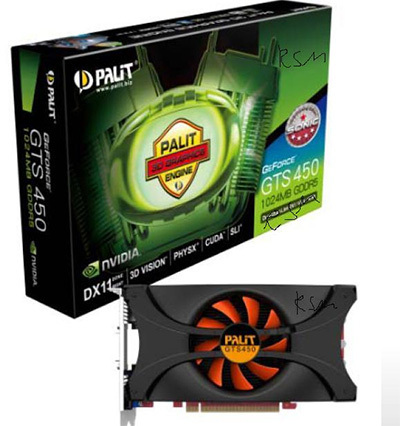 Palit has announced two new models of the recently introduced GTS 450 Graphic card. Two new variant’s which include a Non reference one and a Low power edition were revealed by Palit. Specs and features of them can be seen below. The Non-Reference Edition of the GTS 450 features the same design as seen on the Palit GTX 460. The PCB on the Non-Reference design is colored Red and is equipped with a fan on the heatsink with a shroud that spans along the length of the card. The Display port includes two DVI, One HDMI and a Display port. The clocks of the card remain same as the reference one which are 783/1566/900(3600) MHz core/shader/memory. The Sonic and Sonic+ card could be in works which will feature overclocked cards. The card is priced at 136$. The Low profile variant is a half height card which occupies two expansion slots and looks a bit longer than the full slot card. The Low Profile version also features the same reference clock speeds of 783/1566/900(3600) MHz core/shader/memory. A 192 Cuda Core Count, 1GB GDDR5 memory on a 128 bit wide memory interface. The card is powered by a single 6-pin connector, The price has not been announced yet.